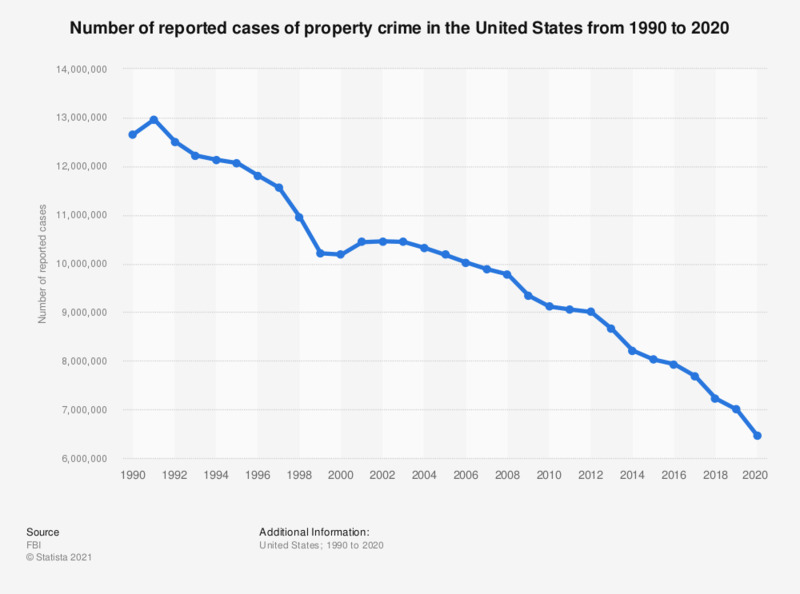 This graph shows the reported number of property crime cases in the United States from 1990 to 2017. In 2017, an estimated 7,694,086 cases occurred nationwide. Everything On "Property crime in the United States" in One Document: Edited and Divided into Handy Chapters. Including Detailed References.